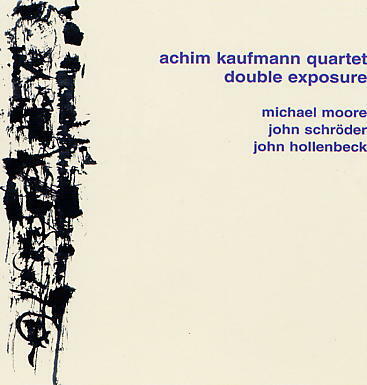 Michael Moore reeds; John Schroder guitar; John Hollenbeck drums; Achim Kaufmann piano. This quartet creates multi-layered musical images displaying a seldom-heard sensitivity to sound and dynamics. As each member of the band is a textural player as well as a master of the improvised line, a rare balance is achieved in the compositions which often bring together seemingly divergent stylistic ideas. Improvisation and composition meet on a plane where it is hard to tell where one begins and the other ends.